You can create the most beautiful chord progressions and songs by ear and you don’t necessarily need to know music theory for that, but it makes the life of a musician a lot easier if you do know some music theory on this part. It’s nice to know what other musicians are talking about and how you can create chord progressions in a more effective and efficient way. Adding music theory knowledge will reveal a lot of secrets you wish you had known before, so don’t wait for later or you’ll miss out on all the good stuff. Music theory will definitely make you a better musician! From the major scale you can build 7 diatonic chords. The major scale consists of 7 notes, so that’s one chord of each note. Let’s take the C major scale for example. Again from the D chord we stack thirds on top of each other. C major, D minor, E minor, F major, G major, A minor and B diminished. Now we can derive a formula from this pattern of chords. This formula can be applied to every key. So if you wanna write a song or a chord progression in the key of G you can use all these chords randomly and they will all sound perfectly well together. In music we use roman numerals to indicate the order of chords in a chord progression. I = G Major, ii = A minor, iii = B minor, IV = C Major, V = D Major, vi = E minor and vii = F#dim. Now we can build chord progressions with these roman numerals. Here are some of the most common chord progression in pop, folk, country and rock music. With these chord progressions thousands and thousands of hit songs were written and that will probably be the case for decades to come. 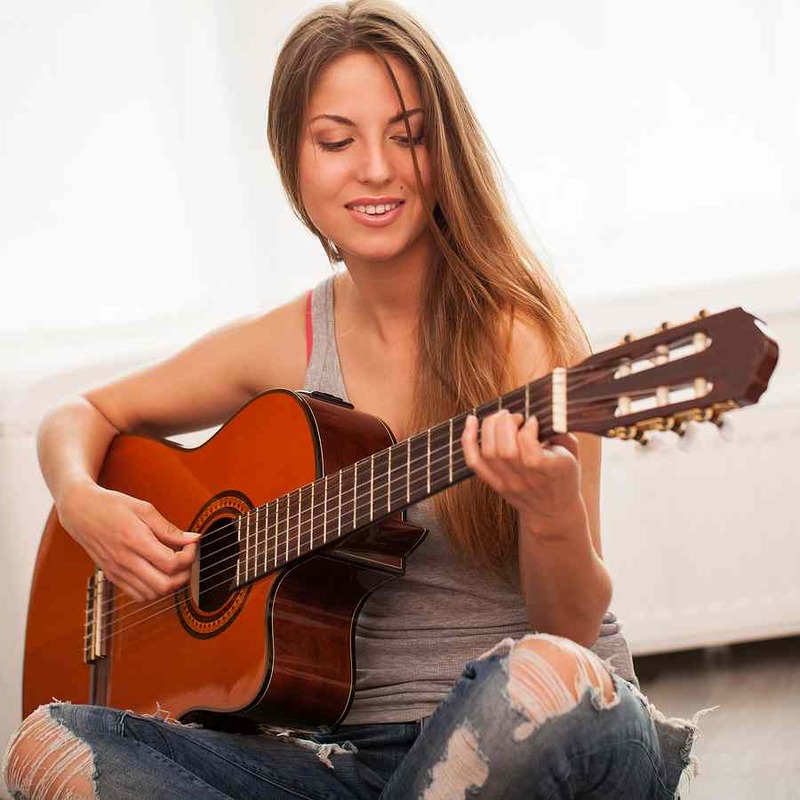 Now write your own song with the help of these chord progressions. Have fun! I’m confused. For the ii chord you say “Then we build a chord of the second degree of the major scale “D”” – but in the D scale the F is actually F#, so if you were stacking thirds from the D major scale you would have D, F#, and A. But in order for the chord to be minor, the F has to be F natural. So, don’t you mean “we build a chord of the second degree by stacking thirds from the C major scale starting at the second note: D, F, and A” ? In the D Major scale the 3rd degree is F# to make the minor chord you flat the third note. Thank you very much for the awesome article. I’ve been playing guitar for about 4 years and have been trying to learn theory, but struggling a little with chord progressions. Mainly how to use them properly. I was wondering about a couple things. I’m using the key of G for my examples. 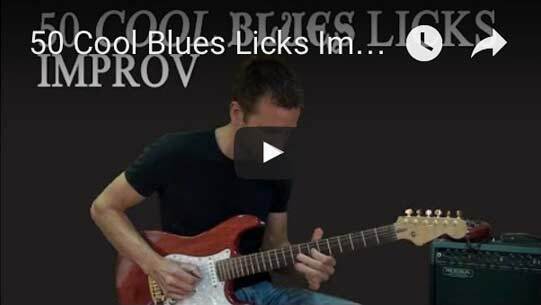 The progression example vi – IV – I – V. So, you don’t always have to start a chord progression with I? Will the listeners ear be able to recognize you’re in the correct key, if you don’t start on the tonic? I like the idea of not having to start on the I chord, but just want to know how much liberty I have for starting on other intervals. Also, for the lead part, can I just play random notes from the G major scale over these chords? Do the notes I play from the major scale need to correspond to the chord being played? For example, if the rhythm guitarist is playing a C chord, do I need to be playing a C note in my solo? I would think not, because then the lead guitarist is going to be constantly chasing the rhythm guitarist around the fretboard, as they change chords.